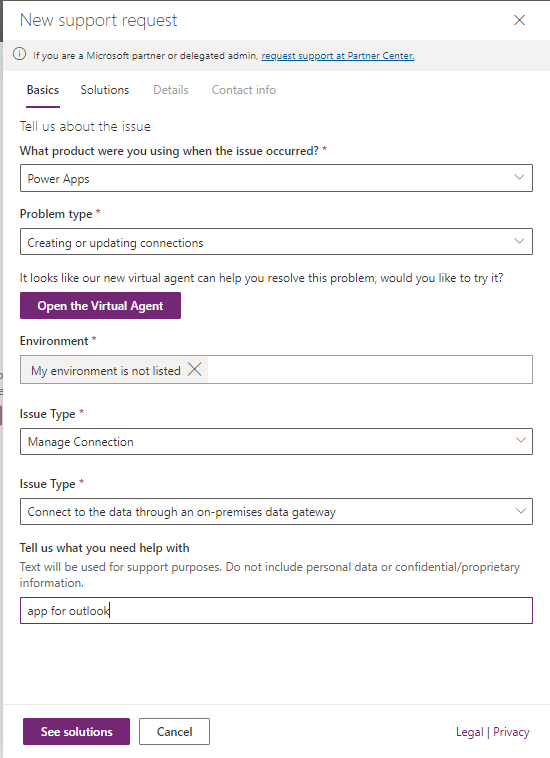 Admins you can use the Help + support experience in the Power Platform Admin center to get self-help solutions in real-time for your issue. If the issue can't be resolved through self-help, you can use the same Help + support experience to contact a Microsoft support representative. For the following support plans. 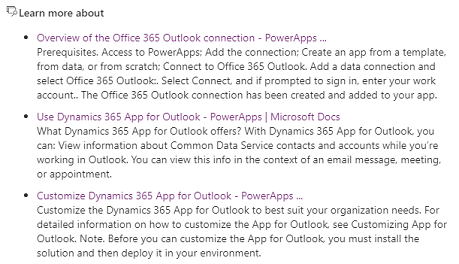 Sign in to the Power Platform Admin center with your admin credentials. 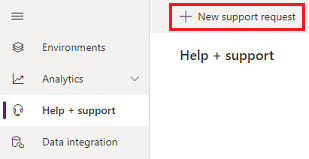 Select Help + support > New support request. To get immediate help with your issue, fill in the rest of the information on the page, and then select See solutions. Based on the information you provided, you'll see a list of possible solutions to your issue. Select the relevant solution and see if the content can successfully guide you to a fix. 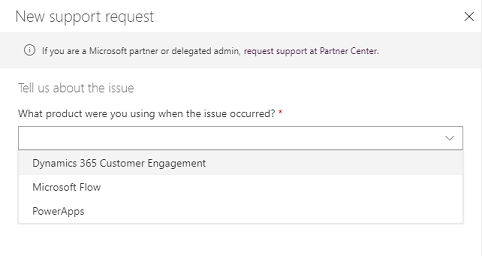 If the guidance doesn't resolve your issue, select Create a support request and fill in the fields in the form pages. 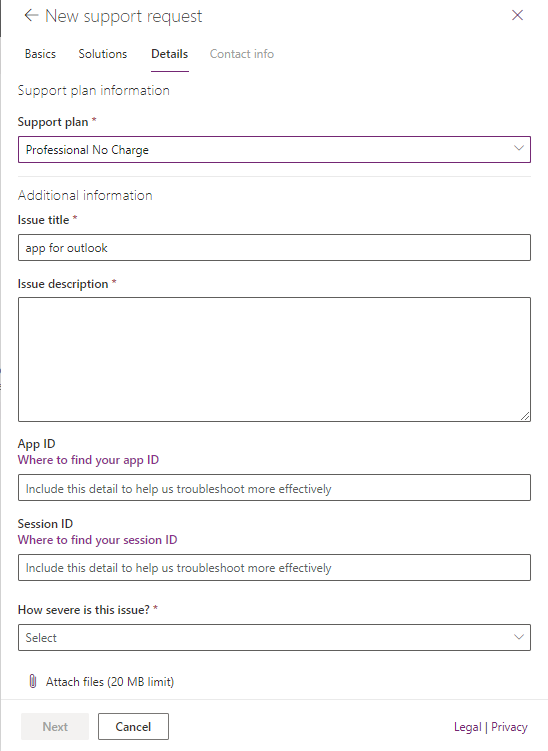 If you have a Premier support plan, select Yes for File as a Premier support request? and fill in the fields. If you don't know your access or contract ID, please contact your service admin or Technical Account Manager (TAM). For Contract ID/Password, please enter your Premier contract ID. 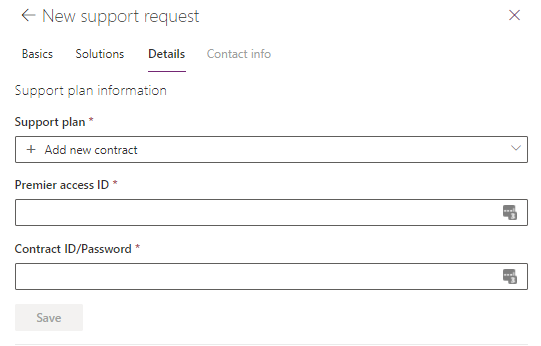 The Contract ID/Password defaults to the Premier contract ID. If you have changed the password when registering online in the Premier portal, you should use the updated password instead of the contract ID. Once you submit your request it will appear in the list of support requests. You can check the status and edit your request on this page. We're rolling out a new Preview feature to a limited set of customers to try out. If you're experiencing a service outage, we want your support request to get more timely review and action. Select the Report outage link to report the outage. If you don't see this link, don't worry! We'll be bringing this feature to all customers in the future. Fill out the pages and then submit to have your support request receive an expedited review. 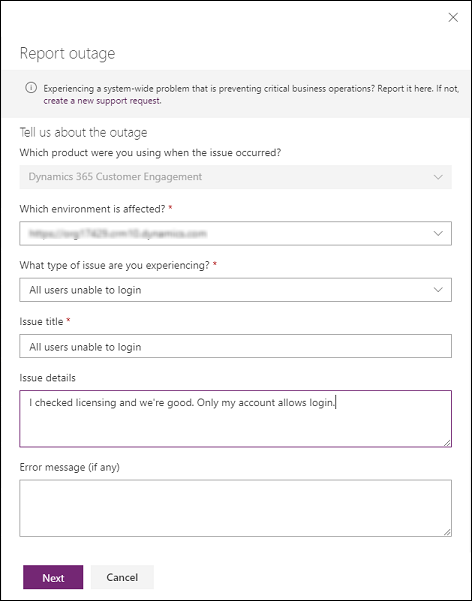 We'd love to know your thoughts on the new outage reporting process. Or, if you'd like to be considered for this limited Preview, please fill out this form.